HAPPY NEW YEAR!!! WE ARE OFFERING A FREE $200 GIFT CARD WITH THE PURCHASE OF ANY NEW VEHICLE FROM NOW TIL THE END OF THE JANUARY!!! HURRY THIS OFFER EXPIRES 1/31/2019!!! 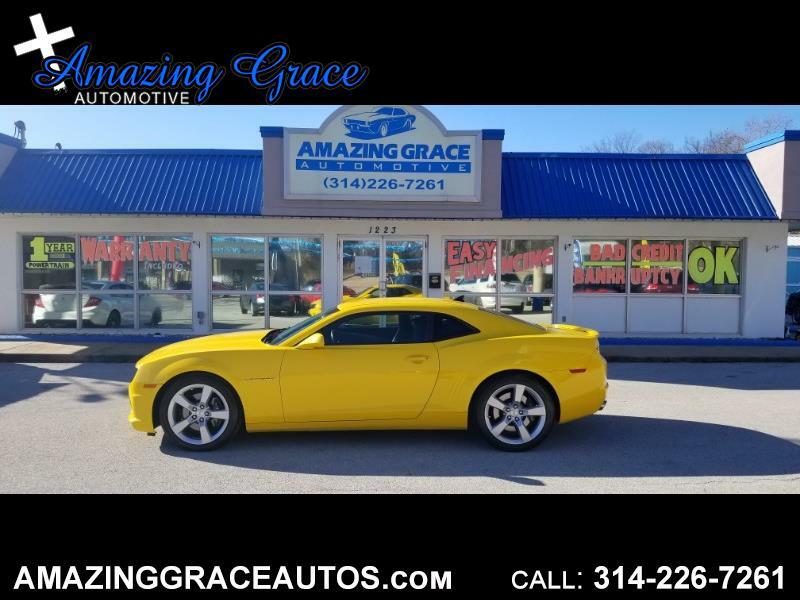 This is a beautiful 2012 Chevy Camaro SS2 with only 70228 Miles! This car runs like a dream! Very clean inside and out! This car is in excellent condition! The sound of this V8 is irreplaceable! You just don't get that out of a V6! You will be proud of your new Camaro when you drive up in front of friends and family! This car is a real head turner! Powered by a strong and fuel efficient 6.2L V8 that is paired with a very smooth shifting 6 speed Automatic transmission with overdrive and Tap Shift Technology! What an amazing experience it is to get behind the wheel of this SS Camaro! This car is powerful and it is very smooth! It drives like a luxury sports car! This 2012 Camaro SS is loaded with almost every feature available! Including Leather Seats, Heated Seats, Heads Up Display, Power Seats, Bose Premium Sound System, Back Up Camera, Tilt and Telescoping Steering, Alloy Wheels, Performance Suspension, Traction Control, Stabilitrak, 4 Wheel ABS Brakes, Keyless Entry, Remote Start, Bluetooth Wireless, Parking Sensors, Front and Side Airbags, Side Curtain Airbags, Rear Spoiler, Fog Lamps, Satellite Radio, Power Everything, and much more!